Attractive dressing table mirror. 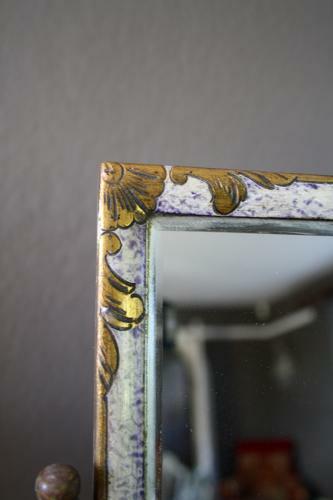 French - late 1900s with blue and white enamel (I think) and then gilded on the wood. It is slightly fragile on its stands but still sturdy enough.